Thailand is such a great place to live that naturally there are lots of people who don’t want to wait until they retire to move here. The job market is not left completely wide open to foreigners, however. To work in Thailand legally as an expat requires a work permit and correct visa, plus the Thai government has put in place some restrictions on the types of jobs available to foreigners. So when searching job listings, if you see any that specify “Thai national”, it isn’t because the employer is racist, but rather because the legal requirements for a work permit won’t be met by that position. Jobs in Thailand that require native-level Foreign language ability—such as English teaching—are the easiest to come by. However, there are actually a wide range of expat jobs possible if you know where to look. Let’s take a complete look at all the areas of employment open to foreigners, along with some helpful links and tips for landing these positions. But first, one thing to note when looking for a job in Thailand: discrimination based on age and gender is not illegal and actually very common. Often you will see job listings with something like “woman under 30” or “male 25+” listed in the requirements. Other times you’ll see very limiting requirements such as “master’s degree and 5 years experience, but must be under 30 years old,” and you just can’t help but wonder how they can find any candidates to fit the bill. Since you can’t do anything to change this, just simply ignore any job listings in which you might not fit their very specific requirements. Doing otherwise would just be a waste of your time. Let’s start with the most obvious and largest job market in Thailand for expats from western countries—English teaching. Elementary schools, high schools, vocational colleges, and universities all across the country need native-speaking English teachers to fill positions in their classrooms. In addition to English Language classes, international schools and other private schools with English immersion programs require native English speaking teachers for other subjects, such as Math and Science, taught in English. You probably won’t get rich as an English teacher in Thailand. Starting salaries can range from 25-50K baht per month for full-time work. International school teachers with a B.Ed. and several years experience teaching in their chosen subject could make significantly more. Many teachers make extra money by privately tutoring students on the side. Some schools even encourage their teachers to be available for after-school tutoring at a per-hour rate. Unless you work for an international school, you will probably have to take on some amount of private tutoring in order to be making “good money” in Bangkok. Your “teaching hours” might only be 20-25 hours per week, but most schools will require their teachers to be at the school for a full 40 hours per week, with the extra time going towards prep work and other activities such as showing up to join the morning assembly. To work legally as a teacher in Thailand you will need to get a teacher’s license, work permit, and non-immigrant “B” visa. If the school hiring you is even halfway competent, they will sort out this whole process for you. All you need to do is provide them with all the documents they need, sign your name everywhere it needs to go, and go on the visa run to a Thai embassy or consulate in a neighboring country when it comes time to get the visa. The minimum requirement for working in Thailand as an English teacher is generally to have a Bachelor Degree from a 4-year university, although the degree can be in any field—it doesn’t need to be in Education or English. Holding a B.Ed. would be more helpful, and so would having a recognized TEFL certificate. You should bring your original university diploma and transcripts with you. An increasing number of schools are also asking for a criminal background check from your home country, so it would be a good idea to get one of these prepared before heading to Thailand. It might be a small hassle, but it is a good sign that schools are starting to ask for this. There have been too many stories in the news about the bad apples who become teachers for the sole purpose of preying on children. Weeding them out of the workforce will help improve the image of foreign teachers in general. Thailand is a very popular location for people to earn their TEFL (Teaching English as a Foreign Language) certification. There are a number of accredited 4-week, 120-hour TEFL courses in locations such as Bangkok, Phuket, and Chiang Mai. Many of these courses promise assistance with job placement upon successful completion. For many young university graduates who want the experience of living and working abroad, a realistic plan is to save up a few thousand dollars, come to Thailand for a TEFL training course, and start teaching right afterwards. When applying for teaching jobs in Thailand, your appearance really matters. Guys should wear a tie and long-sleeved shirt with trousers and proper shoes, as this is what you’ll be expected to wear on the job. Smart attire for professional women in Thailand would be a button-up top with sleeves, knee-length skirt, and shoes that cover your toes. Teachers are considered role-models in society, so you’ll be expected to look and act like one. The majority of teaching positions will be found in the greater metropolitan area of Bangkok, but they can be found in every city. Ajarn.com is a very good resource for finding teaching jobs and learning more about what you’ll be getting yourself into. Native speakers of Chinese, Japanese, Korean, German, and other languages can also find employment in Thai schools. Chinese in particular is seeing increased demand as more and more schools are adding Chinese programs. Many Thais who work in the tourist sector must interact with Chinese speakers on a daily basis. A good Chinese teacher would have many opportunities for private tutoring to earn extra money. Pay for a senior software or web developer in Bangkok might be as high as 100,000 baht per month. It is quite good for Thai standards, but nothing compared to how much you would earn working in the US or UK doing the same work. The good thing about software or web development, however, is that it’s usually possible to work 100% remotely. For example, if you are currently working for an American company, you could see if they would be willing to let you move to Thailand and continue your same job from here. Work permits are only given for employees of Thai companies, but there is a way to get around this and stay on the right side of the law. Iglu can help you relocating to Thailand by employing you here and invoicing your monthly salary to the company in the US that you work for. A similar option is available for those who work as freelance software developers and programmers. Rather than working under the radar on a tourist visa—with all the stress and uncertainty—you can work legally in Thailand by joining Iglu. This is a great option for those who enjoy the autonomy of freelance style work, but would also like the stability of having a work permit, year-long visa, subsidized government healthcare, and a tax home so you can avoid paying the high income tax from your home country. A relevant degree and 2-years experience or at least 5 years experience in your field are the main minimum requirements in order to get a work permit using this program. The tourism industry is a large part of Thailand’s economy. Some jobs in tourism, such as tour guides, are restricted to Thai citizens. There are many positions in top-end hotels, however, that are open to foreigners. In particular, there is a demand for people with good experience and qualifications in Hotel Management and those with Chef experience. Some of these positions can be found listed on ThaiHotelJob.com. If you have the necessary educational background and several years of hotel management under your belt, you might be able to find a job working for one of the big hotels in Bangkok. 5-star resorts on Phuket, Samui, and other beach locations may also be of interest. Head Chef is another position that foreigners often fill at Bangkok’s finest hotels and restaurants. You will probably need about 5 years of experience to be seriously considered for one of these positions. If you have a PADI (Professional Association of Diving Instructors) certification, there are many opportunities to work in Thailand as a diving instructor. The minimum level of certification that you would need to work as a scuba diving instructor would be the PADI IDC (Instructor Development Course). The amount of money you can make as a diving instructor depends on location and is also seasonal. The pay will be higher on Koh Phi Phi than Phuket, but the cost of living is also more expensive there. There is a low season from May to October in which there will be less customers and opportunities. Instructors with good sales skills will be able to earn more on commissions. So depending on location, skill, and season, an instructor could earn anywhere from 30-80K baht a month. There is also a demand for diving instructors with multiple language skills. Those who can speak fluent German, French, Russian, or Mandarin may be able to find work easier and command higher wages. Many diving instructors take the risk of working illegally on a tourist visa, without a work permit. Some dive shops will sponsor a work permit and visa for experienced instructors, but due to the seasonal nature of the job, many do not. Instructors who want to work legally usually go through a lawyer to set up a Thai limited company in order to get a work permit. Many found it easier to get away with working without a work permit on the smaller islands because Immigration is on the mainland. On Phuket however, a work permit is more of a necessity. Either way it is always better choice to have a work permit. Most dive centers want to hire someone who is already in Thailand. Simply sending out a bunch of emails will probably not get you very far. It’s best if you can come to the shop in person, with your C.V. in hand, and talk to the manager face to face. A lot of divers come from the all-night party crowd, and your future boss might not be so keen to hire a raging alcoholic. So distinguish yourself as a responsible individual when looking for work. Dress politely, and do your best to cover up what tattoos you might have. You may only be offered freelance work at first. Make the most of your opportunities by proving yourself to be reliable, and bigger things will come your way. If you currently work for a large multinational corporation, there is a chance that they have a division located in Bangkok. If this is the case, you may be able to request a transfer to come work in Thailand. This can be a great situation to be in because the pay is usually on the same scale as the salary you earn in your home country. However, the cost of living in Thailand is much lower, so you will ultimately be able to do more with your money—and enjoy living in Thailand at the same time. If you don’t currently work for such a company, you can try hunting down a job based out of Thailand with one anyways depending on your education and experience. One position often available at big companies in Bangkok is Finance and Accounting Manager. You will need to have strong accounting skills and experience to take a shot at one of these jobs. If successful, you will be rewarded with a salary that makes it very comfortable to live in Thailand. Large companies based in Thailand will sometimes have openings for Electrical Engineers or Mechanical Engineers. These are typically not going to be entry level jobs. It’s not worthwhile for a company in Thailand to invest in hiring a foreign engineer unless that foreigner is bringing a wealth of experience with them. Still, if you happen to be a seasoned engineer looking for a new opportunity and new direction in life, then it would be worthwhile searching out engineering jobs in Thailand that you may be qualified for. Another job possibility is as a Translator or Interpreter. For example, there are many Japanese firms that have manufacturing plants located in Thailand who need interpreters fluent in both Thai and Japanese. The majority of these jobs go to Thais who have intensively studied a foreign language, but if you happen to be multi-lingual with Thai and another useful language, then it would be worthwhile seeking out an interpreter job. If you speak the right language you may be able to find a job in customer service or marketing, either working at a call-center or on a freelance basis. Native speakers of many European languages are in demand for these positions. The list includes German, Italian, Dutch, Norwegian, Greek, Belgian, and Polish. Native speakers of Asian languages such as Chinese, Japanese, and Korean can also find this type of work. The pay for call-center staff is not going to be very high, and you may be asked to work in the middle of the night because that’s when it’s daytime in the country the customers are located in. Depending on the exact nature of the work, it can also be quite demoralizing to deal with upset customers over the phone on a regular basis. Quite a few of these jobs do offer a valid work permit and visa to stay in Thailand, though, so if you have the right temperament and language skills it could be worth looking into. There are many NGOs (Non-Government Organizations) active in Thailand. Most are based out of the capital Bangkok or the northern city of Chiang Mai. These positions are often temporary, running for a set number of years in which they have been funded for. They are also usually somewhat specific in their experience requirements, with several years of prior Development Aid work a common minimum requirement. Fluency in Thai language can be a huge asset if applying for an NGO position. For US citizens looking for a way to break into this line of work, a good place to start out would be USAid. Once you are experienced in Developmental Aid work, you will have much stronger credentials to land a specific position for an NGO in Thailand or any other country. One good resource for current Development Aid positions available in Thailand is the Devex.com job listings. Foreign nations employ many foreign staff at their embassies and consulates in Thailand. Your best bet to land one of these jobs in Thailand would be to check with the embassy of your nationality for information about job openings. US citizens should check out USAJobs.gov, which has listings for government jobs, not only in the US, but all around the world as well. You can search job openings by location, which makes it very easy to see what is currently available in Thailand. These jobs are all going to be very well-paying, especially by Thai standards. You’re going to need some experience and skills of course, but there’s a chance that something might be available in your field of work—it certainly doesn’t hurt to look. So, if you’re bored with your current position and fancy a big change, why not see what’s available? Many a man has lost a small fortune by purchasing a beer bar or restaurant in Thailand after falling in love with the country and thinking this would be an easy way to stay long-term. If a small business was making money for the owner, you have to ask yourself why they’d want to sell it to you. So, in general, it is not a good idea to rush into buying a business (or even starting a new one) in Thailand unless you have some prior experience running that type of business and know what you’re getting into. 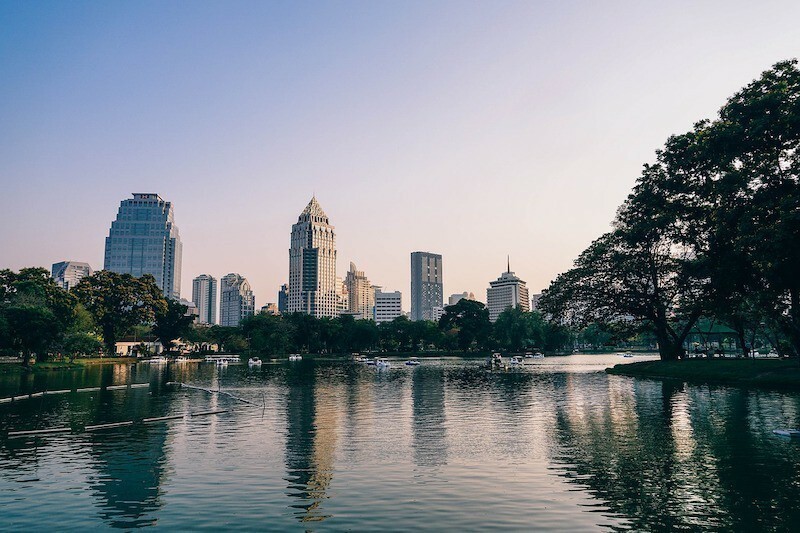 That being said, owning a Thai company can be a relatively easy way for a foreigner with some extra funds saved up to acquire a work permit and long-term visa. The main stipulation is that the company needs to have at least four Thai employees for the foreign owner to get a work permit. Another key point to consider is that the foreigner—in most cases—can only own up to 49% of the company. So they will need to work out some arrangement with Thai shareholders. If you are determined to take over an existing small business in Thailand, then you may be able to find a diamond in the rough at Sunbelt Asia. Freelance writing is another one of those jobs that you can do from anywhere. There is a huge demand for article writers by website owners who need quality content to attract people to their websites via Google search. 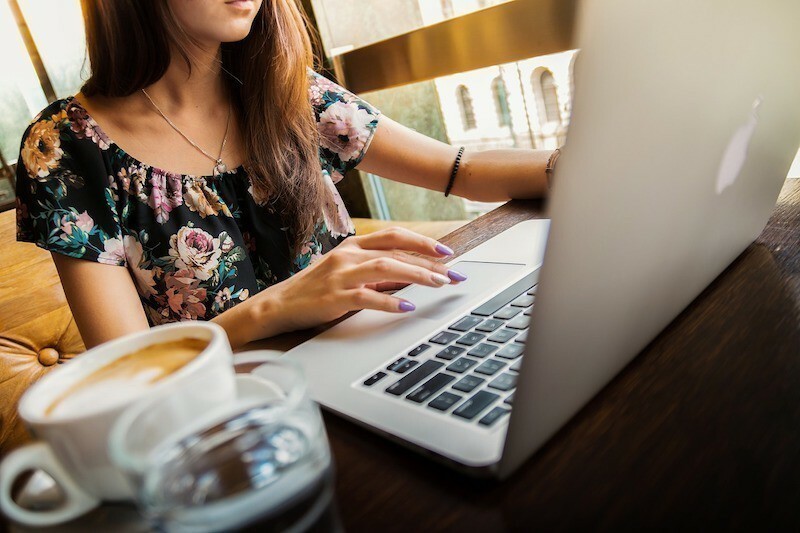 The pay for freelance writing is typically based on word count, and the amount you earn per article is generally not that much—in large part due to a flood of writers from India, Pakistan, the Philippines who will work dirt cheap. Still, there are many clients who care deeply about the quality of the writing, and are willing to pay a higher price for native English speaking writers from the US, UK, Canada, Australia, and New Zealand. In any case, being able to write quickly is the most important skill, since the faster you can write the more articles you can produce per hour of work. On top of that, writing coherently, with correct grammar, in an engaging style, and with few spelling errors will go a long way. The other essential point is to follow the client’s instructions to the letter. They probably have specific SEO (Search Engine Optimization) goals for the content you will be writing for them, and these need to be met. One of the biggest online platforms for freelance writing work is HireWriters. You can also find freelance jobs on UpWork.com. As far as writing work that is specific to Thailand, you can usually find some open jobs by looking in classifieds such as Craigslist Thailand. Some people are able to make a living writing a travel blog, but realistically it is more difficult than it looks. You need to have many readers and followers to your social media and email subscription lists before you can expect to see any real money writing a blog. In any case, you are not very likely to be able to get a work permit as a writer in Thailand unless perhaps you work for a news agency or magazine that would give you steady full time work. At first it would seem that English Teaching is the easiest way for foreigners to live and work in Thailand. This is probably true, but be very careful going down this route unless you are very passionate about teaching and/or hold advanced qualifications. Life in Thailand is good, and it’s too easy for fresh university graduates to fly over here, land a teaching job, and then feel just enough contentment to get stuck. Monthly salaries in for teaching English in government schools have been stuck in the 30-35k THB range for the past 20 years while the cost of living has gone up. The vast majority of teaching jobs pay just enough monthly salary for you to get by comfortably in your daily-life but never really save up for the big things. Many long-term teachers initially planned to only stay for a year or two, but found themselves staying on longer and now lack any relevant recent experience to take up other lines of work. So if you’re coming over to Thailand with the intention of teaching for work, aim to be a member of the first group. Otherwise come prepared with a definite plan to move on to another profession after a max 2 years teaching to get your feet wet in the country. Where to Find Jobs for Foreigners in Thailand?